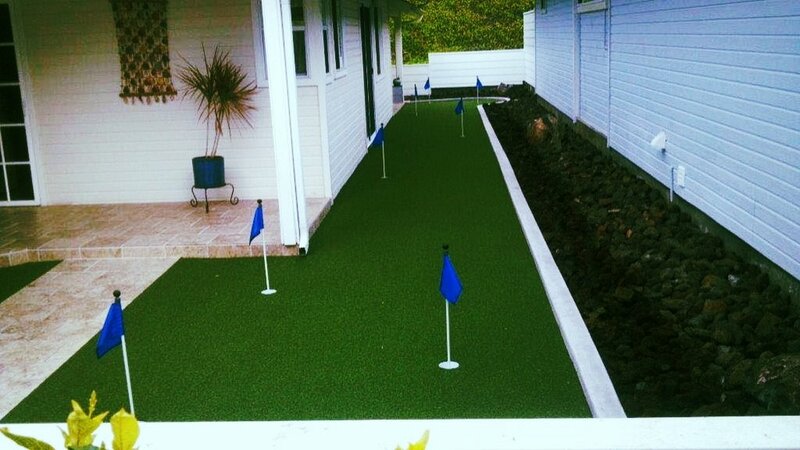 Hawaii Dream Turf home- Synthetic grass, lawn, & putting greens. 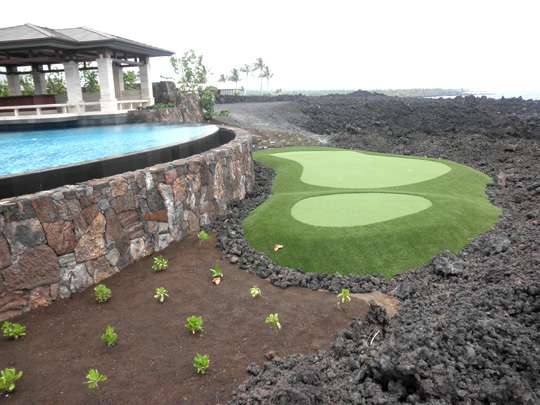 Hawaii Landscape Contractor with 11 years experience installing synthetic turf & golf putting greens. Artificial grass(turf) for residential or business, roof terraces, lounge areas, golf greens, outdoor carpets, commercial areas, event flooring, playgrounds, and so much more. Stop wasting time and money on growing grass! Synthetic lawn will pay for itself in saved water and mowing. We have installed incredible putting greens for many clients. 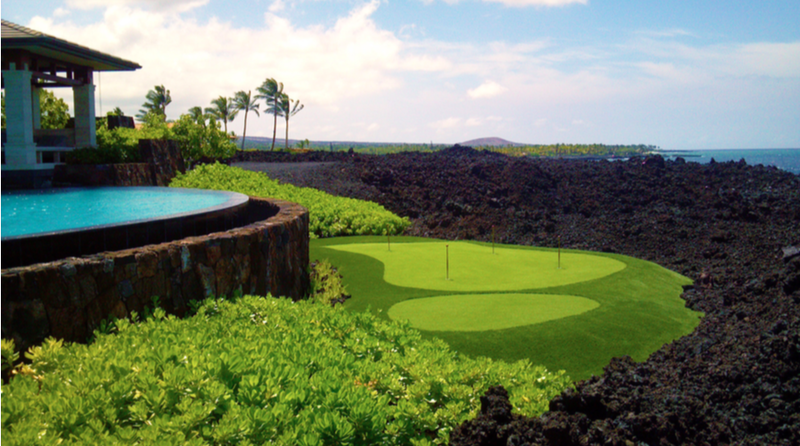 Let us bring your joy of golfing to your backyard! Pets can play on artificial turf rain or shine. They enjoy the soft grass-like feel. Licensed, Bonded & Insured – We believe in operating ethically and above board. The cost of doing business in Hawaii is high but proper licensing and insurance is the law and was designed to protect YOU the consumer. Please check our credentials. Our Hawaii State Contractor’s License is # C – 31846. We are also fully insured and Hawaii GE TAX. Some competitors are not properly licensed, bonded and insured. This should be a serious red flag that these companies are either unethical, insolvent or very ignorant about simple business practices. If an employee were to get injured on your property installing synthetic turf, they are covered and so are you. Don’t be afraid to ask for a copy of our insurance policy and/or our contractor's license.